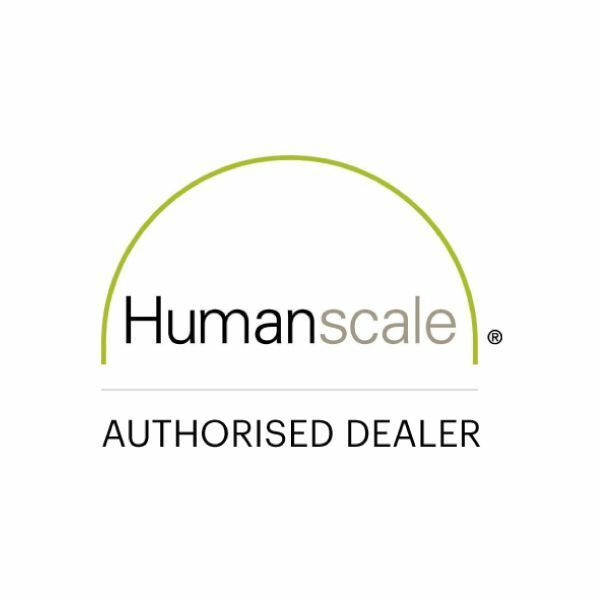 The Humanscale Freedom leather chair with headrest removes the need for levers with an innovative reclining mechanism. There are just four basic adjustments - seat height, seat depth, back height and armrest height. 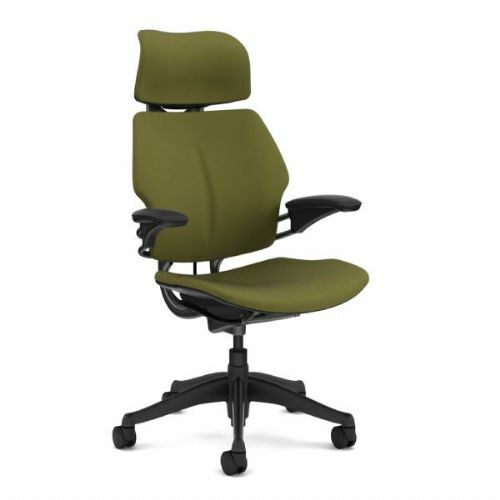 Natural lift and release action for immediate repositioning without button or locks. 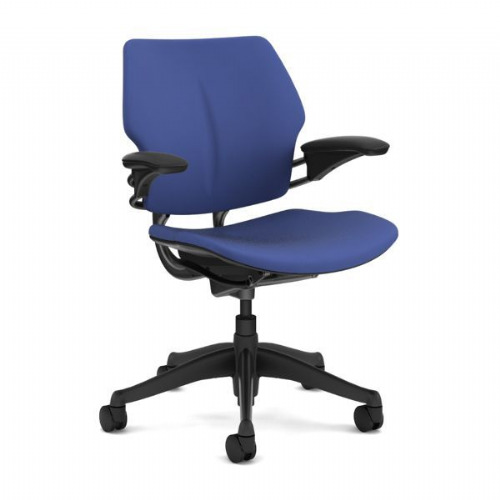 6 range of vertical motion to accommodate all users and task. 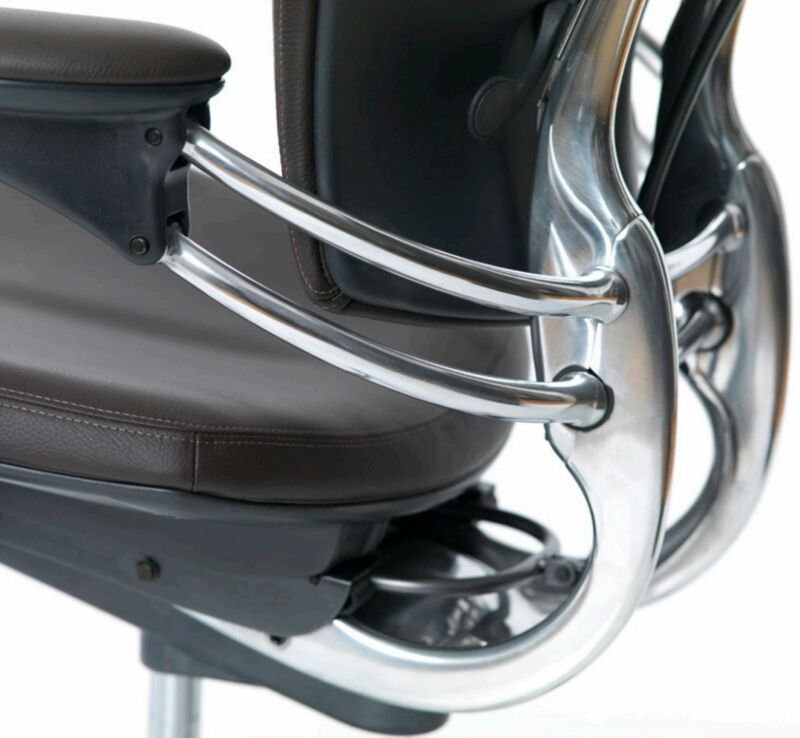 Attached to backrest so arms stay in same relation to body during recline. Duron cover for superb comfort and durability. 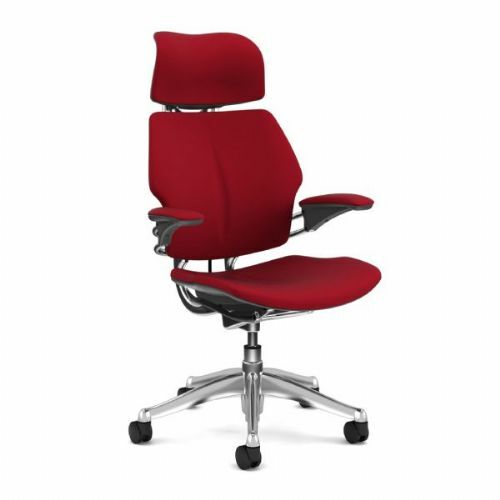 Same features as above and covered in the same textile and color as the seat and back cushions. The Freedom is GREENGUARD Indoor Air Quality, GREENGUARD Gold and level® 2 certified. Exceptionally soft to the touch, Bizon is a thick, rich grained leather with excellent light fastness. It offers a plain, pigmented finish that has excellent stain protection, making it ideal for any user or application.